What are the Signs of a Concussion? One of the most common undiagnosed conditions after an accident is a concussion. And, too many people are willing to overlook these signs and symptoms. We have reported on the dangers of concussions in youth sports. The statistics should give any parent pause: the American Academy of Pediatrics reports a 200% increase in concussions in kids between 14 and 19 years of age over the past decade. Football related concussions are leading this spike, accounting for 47% of these injuries. 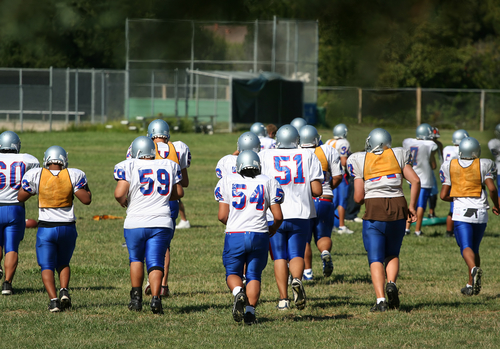 Of those, it is estimated that 33% of football related concussions happen during practice. Experiencing a concussion is a serious injury. This is because while one such blow may not belife changing, a second or third one very well may be. Nearly 33% of athletes who report a concussion will experience a second one in the same year. Even more problematic is a young athlete experiencing one or more unreported or undiagnosed concussions. The failure to diagnose a concussion increases the likelihood that a subsequent blow will result in causing a catastrophic brain injury. Multiple concussions increase by 39% the odds of causing devastating brain injury. The odds are even worse when they occur over a short time interval. That’s why increased concussion awareness by coaches and trainers together with strict concussion protocols and readily available medical personnel is critical. Don’t be lulled into thinking if an athlete doesn’t lose consciousness they haven’t suffered a concussion. Almost 90% of diagnosed concussions do not involve a loss of consciousness.